A contemporary sculpture currently on display at Central Piedmont Community College’s Central Campus will be transported soon to Washington, D.C., where it will appear in an exhibition at the Smithsonian American Art Museum. Artist Dustin Farnsworth created the piece called, “A More Sophisticated Form of Chaos” (2014). 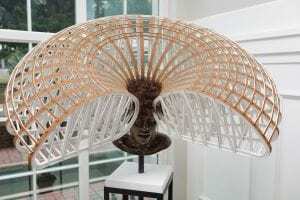 The work is on loan to the college from owner Bill Gorelick of Charlotte. The sculpture is on display on the first floor of the Zeiss Building, located on the college’s Central Campus. Gorelick has loaned the college a number of pieces from his personal collection since 2013 so students at its campuses can be exposed to and enjoy art in multiple forms, including sculpture, glass and pottery. These spaces have become known as the Bill and Patty Gorelick Galleries at Central Piedmont. There are currently three galleries at Central Piedmont’s campuses – the college plans to have one at each campus by 2021. The Farnsworth sculpture will remain on display at Central Piedmont until mid-October. 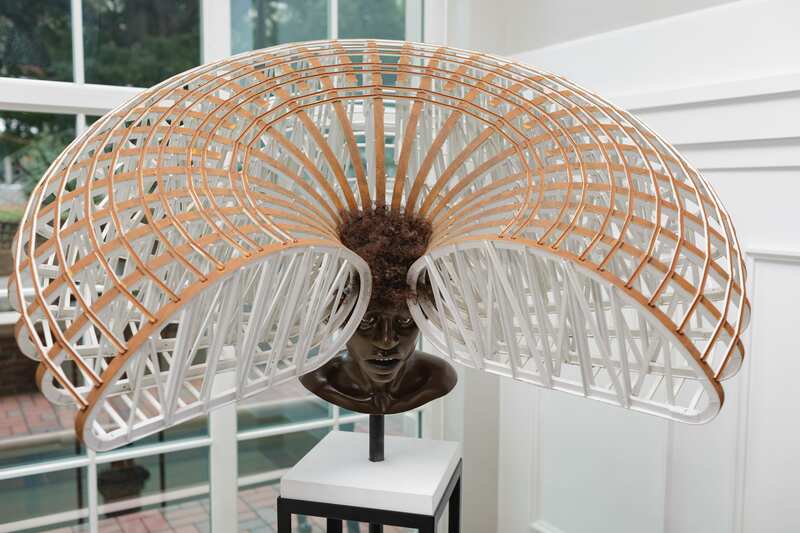 It then will appear in the Smithsonian’s biannual showcase of contemporary craft at the museum’s Renwick Gallery from Nov. 9 to May 5, 2019. Following its display in D.C., the piece will return to the Queen City where it will be placed on display in the college’s fourth Gorelick Gallery, located on its Harper Campus. The Smithsonian’s exhibition is a biannual showcase of contemporary craft that offers a national platform for both established and emerging craft artists whose work the museum feels deserves more attention. Participating artists are selected by a jury of specialists in the field, and the show will be accompanied by an illustrated catalogue. Farnsworth resides in Montreal and has been an artist-in-residence at the McColl Center for Art & Innovation in Charlotte. His work has appeared in solo exhibitions in Columbia, SC; Huntsville, AL; Wilmington, NC; Murfreesboro, TN; and Grand Rapids, MI.